Much art is presented as a fait accompli. It is no coincidence that in the world of music we are only shown the making process once the finished article has been accepted as seminal. In this way we are encouraged to view the artist as a genius, giving birth to fully formed masterpieces. 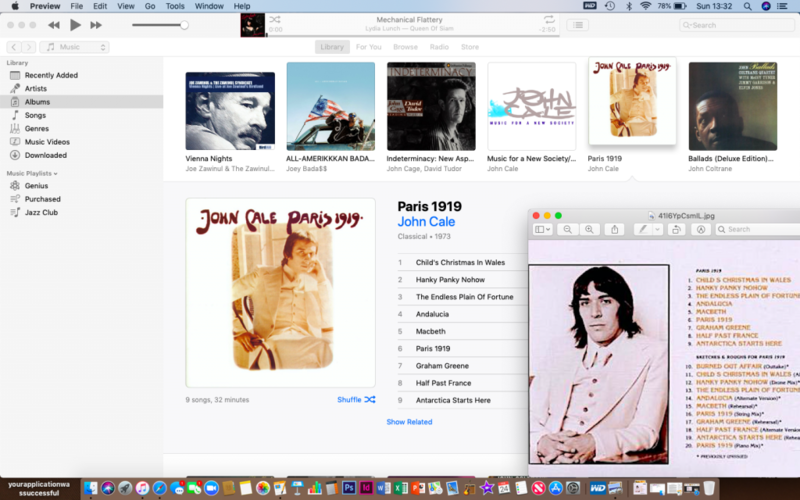 Take for example albums like John Cale’s ‘Paris 1919’ released in 1973 and followed up forty years later with a deluxe version containing additional material. And when we are presented with the deluxe edition all those years later, what is it that we are given as if to mark a significant birthday? Well, mainly it is an entire extra disc full of early demos, alternate takes, mono mixes that harken back to an age before everyone had stereo playback equipment and a package full of liner notes detailing equipment, instruments, personnel and images of the artist pausing for coffee and a fag. I’m joking on that last one, but not entirely, quite often the images used are archival shots from between takes, in which the musicians work out what comes next in the manual labour part of an intellectual pursuit. We are essentially being presented with a family album detailing conception through to the birth of an idea. There are many artists out there who do not like, and do not allow this kind of documentation to ever see the light of day, probably for the same reason that we do not have memory of the process of our own birth. Craning sculpture into the studio. Visual art has never really seen such obsessive interest in the making of work outside of academia, with many people content to view the finished objects without ever wondering about the why or how. I imagine that the popularity of the archival recordings of musicians has much to do with the ubiquity of music, the fact that it is ever present in our lives; on the radio, in the records, CDs and downloads that we purchase, as background in adverts, films, TV, documentaries etc . . . I would aver that visual art does not have this luxury. More often than not the contemporary visual art we visit in galleries cannot really be purchased by anyone other than the super rich, and our enjoyment of it is confined to walking past these paintings and objects, should we choose to visit a gallery or two on a rare day off. Disposability is another significant obstacle to the sense of wonder in terms of the production of visual artworks. Those involved in contemporary art understand what they are doing and why, but this is often misunderstood or, at worst, it is not understood at all hence the ‘my five year old could have done that’ criticism made by many. So why should we take notice of art if it is that elitist or that far removed from our lives? The processes that lead to bigger things have always been important. Francis Bacon famously claimed to not make preparatory sketches before making paintings but there have been certain things to suggest in the years since his death that this was not entirely the truth of the situation. Leeds Art Gallery’s current exhibition Leonardo DaVinci: A Life in Drawing looks at preparatory work done leading up to the production of large scale sculptures, very few of which still exist. Yet 500 years after his death we can still view the preparations made in advance of the production of those sculptural works. 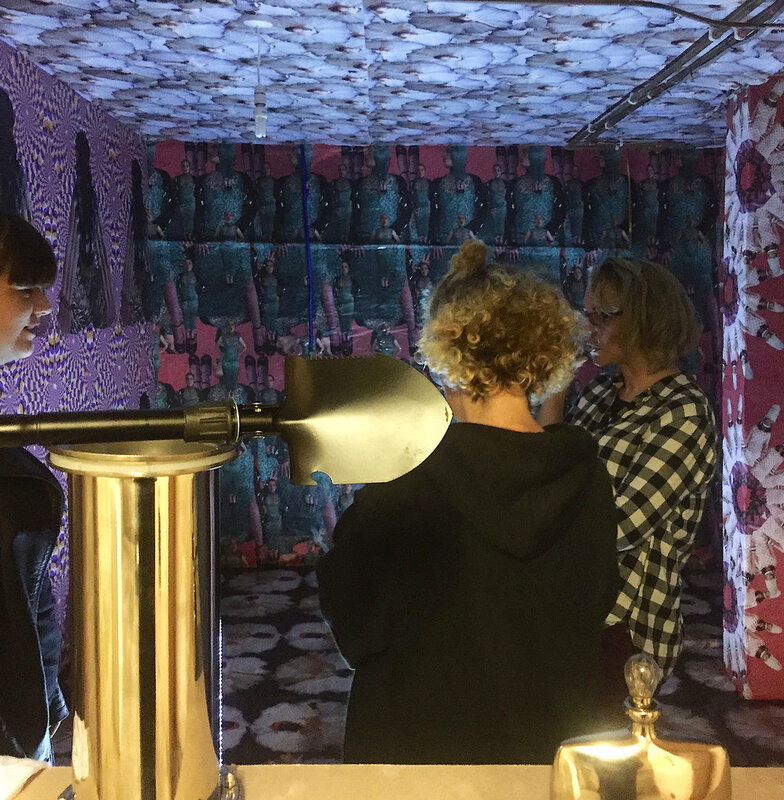 BasementArtsProject has, over the last eight years, presented contemporary art practice in a way that depicts a vibrant, living, thriving culture; in step with the world as it moves ever forward, and yet also standing to one side and questioning it. Over the years we have taken work by artists new to the scene and placed them with those more established within it. Alongside artists living in Leeds we have brought artists work in from Manchester, London, Liverpool, Newcastle, Sheffield, Iceland, USA, France and many other places. 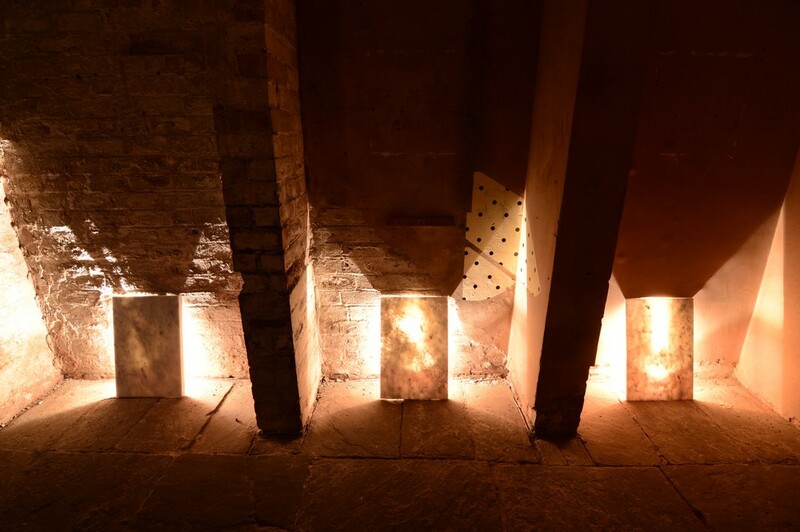 2019 is the year in which the city of Leeds will be part of the Yorkshire Sculpture International event and BasementArtsProject has chosen to observe global and think local. Four major Yorkshire galleries; the Henry Moore Institute, Leeds Art Gallery, Yorkshire Sculpture Park and Hepworth Wakefield will be combining forces to produce a three month long event showcasing visual art, and in particular sculpture in the region. It is with this in mind that BasementArtsProject is determined to realise a number of projects that will place South Leeds in the public consciousness as a gateway between the two main points on the sculptural map of Yorkshire; Leeds and Wakefield. As part of this we also aim to realise two monumental public sculptures, utilising traditional methods of stone carving that we rarely see in use that often. 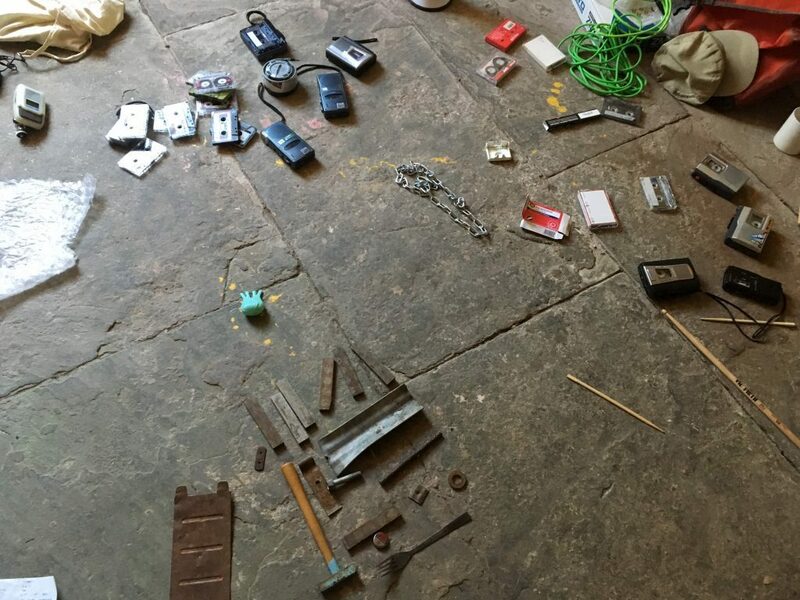 Over the years BasementArtsProject has attracted 3.5k visitors to our venue, a family home at the junction of Dewsbury Road and Tunstall (6k to events worldwide)*, many from South Leeds but many from other parts of Leeds, the UK and the rest of the world. With this years programme BasementArtsProject aims to remove the final barriers towards art engagement in South Leeds – WALLS. In placing sculpture outside in nature where people do not have to cross the threshold of a gallery to experience it, we hope to be able to shed a different kind of light on our environment, both locally and to those whose first experience of the city as they enter from the South is Beeston. 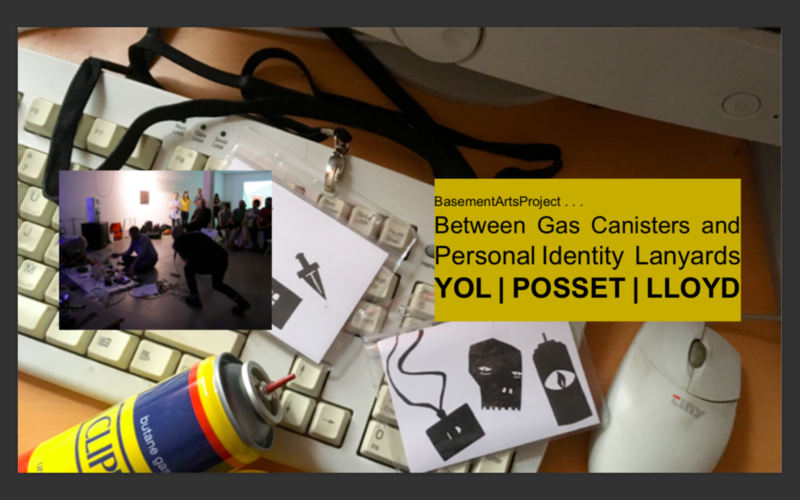 Anyway that is further down the line, right now BasementArtsProject is beginning its 2019 Programme of events with an exhibition and performance entitled ‘Between Gas Canisters and Personal Identity Lanyards’ by Hull based artist Yol and his Newcastle based collaborators Posset and Toby Lloyd: South Leeds folks may remember Toby as being one half of Lloyd Wilson, whose residency with East Street Arts saw them living in the Garnett’s for two and a half years. This new project is partly based on his observations of a park bench and its occupants throughout the course of a day, Yol has created a series of artworks that examine the differing nature of people’s use of time and place in relation to formalised work identity. 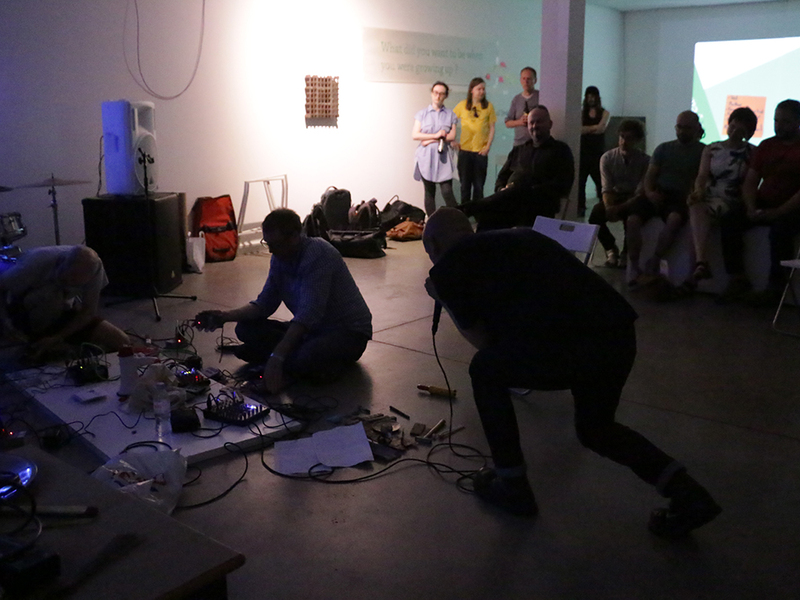 The exhibition opens on Sunday 3 March 2pm-5.30pm with performances at 3pm and 5pm. The exhibition will remain open on Sunday (2-4pm), Monday and Thursday (11am-2pm) until 14 March and then BY APPOINTMENT until Monday 1 April. Appointments can be made by contacting Bruce Davies on 0750 672 1504. As part of this exhibition there will be one of our regular Lunchtime Conversation events, at which Posset and Lloyd will be present, on Monday 18th March 12pm – 3pm. This will involve a workshop by Toby Lloyd entitled ‘Between Eating and Sleeping‘. If you wish to book a place on this please sign up by e-mailing Bruce at basementartsproject@gmail.com Please do book early as these events do fill up quite quickly. The Basement Tapes can be purchased through chocolatemonk.co.uk/available.html and copies will be available for sale at our FREE PREVIEW event on Sunday 3 March. Hopefully see you there. Across the year we will be continuing to look at things in relation to our local area here in South Leeds, with many of the artists involved living, or having lived in South Leeds during the time that basementArtsProject has existed. Over the coming months I will be keeping everyone up to date with these projects as they progress. As is the nature of large scale projects, such as that which we hope to tie in with the Yorkshire Sculpture International, some of this cannot happen without funding. It is with this in mind that I shall be documenting their progress and hopefully giving you an idea of the process and preparation in advance of it actually happening. And sometimes, things do not happen! Often in the world of large scale art production sometimes projects are just too big, or the time is not right and they remain as what are known as ‘Unrealised projects’. But we shall see. In the next article I shall introduce you to the artists that will be associated with our Yorkshire Sculpture International related project, some names that you will recognise, and others you won’t. *3.5K is an accurate record of figures up to Jan 2019, whilst 6K is a conservative estimate due to the public nature of some of our larger festivals, big gallery shows and art fairs in other cities.